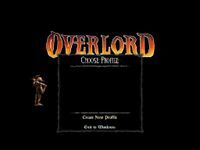 Developer: Triumph Studios, Virtual Programming Ltd.
"Overlord: Raising Hell is the official expansion to the 2007 action/adventure video game Overlord, which was released available for download over Xbox Live for the 360 version and online for the PC version (Europe only) on February 15, 2008 alongside additional multiplayer add-ons. A PlayStation 3 version of the original Overlord was released in June 2008 that was also named under the same title, that included all downloadable content to date on one Blu-ray Disc. The expansion adds an extension to the game's single player with new levels, plot, enemies and weapons. (...)"
Source: Wikipedia, "Overlord:_Raising_Hell," available under the CC-BY-SA License.